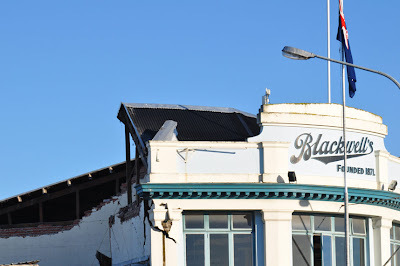 There are many things more important than pests for the people of Canterbury to think about at this time; friends and family, making buildings safe, continuing aftershocks, the clean up etc. However, there should, perhaps, be some thought put into pests. 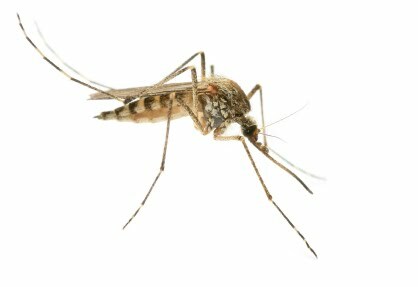 In the case of rodents and flies they can be transmitters of disease, and this is a time that disease is one of the major threats. In the case of borer and ants this would be an opportunity to carry out effective control programs. The ground in Christchurch and surrounding districts has been given a good shake up. The buildings that many pests live in have also been shaken and many destroyed. 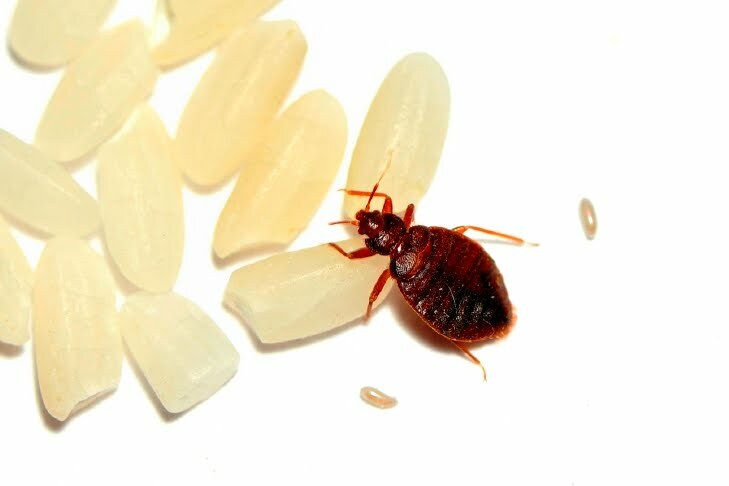 Pests that naturally live and nest in the ground or live in buildings with us, such as rats, mice, borer, flies and ants will have had a shake up also. What is likely to happen to the pests? What effect will the quake have on them? Norway rats (sometimes known as water rats) normally live in burrows but often make their homes in sewers, drains and buildings. They are strongly commensal with human activity. Roof rats are naturally arboreal, usually living and nesting in trees, but they often live in the roofs and higher parts of our buildings, as their name suggests. It seems likely that rats of both types will have been shaken out of their normal routine. While many will have been killed as their nests collapsed, many more will have been induced to leave their 'homes' and will scatter, seeking new places to find food sources and shelter. The destruction of buildings and their contents will have broken food storage containers and facilities perhaps allowing access to the food for rodents and other pests. 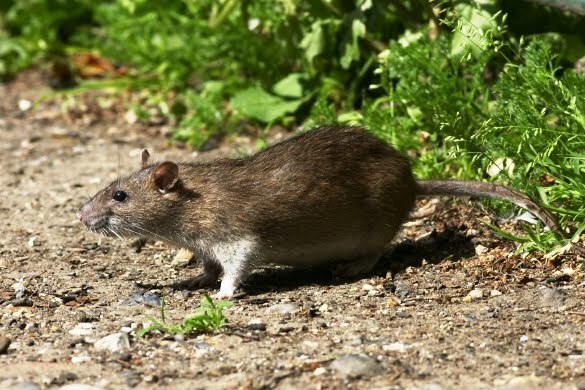 With broken sewers and water systems there comes a risk of direct contamination of water supplies from sewers, but also of rats that had been living in sewers carrying disease to new areas. The same is probably the same with mice. Rats and mice dribble urine continually and produce many droppings each day. Take care when cleaning up your home or workplace. Wear gloves and carry out good hygiene to prevent picking up disease such as gastroenteritis, Wiel's disease, salmonella, E. coli etc. Remove or secure possible food sources for pests as soon as possible. Carry out preventative rodent control. The major ant pests in Christchurch are Darwin and Argentine ants. 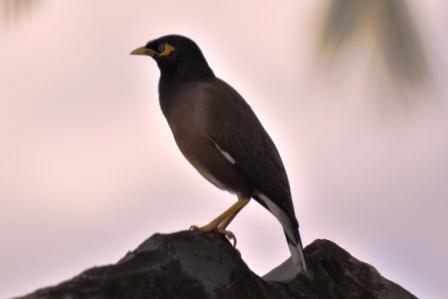 Both these species commonly live in nests in sandy soil. Both also produce 'super colonies' where several nests co-operate and act as a single colony. Each nest contains multiple queens, each capable, with only a few workers, of setting up a new nest. It seems likely that many ant nests have been destroyed. However, as with rodents, it seems likely that many more nests will have been disturbed and the colonies will have 'budded' as queens with their own groups of workers leave damaged and disturbed nests in seek of new places to set up home. So there may be an initial reduction of ant numbers across the city but those remaining will be seen more as they move. As warm weather arrives, ant colony size will rise quickly. 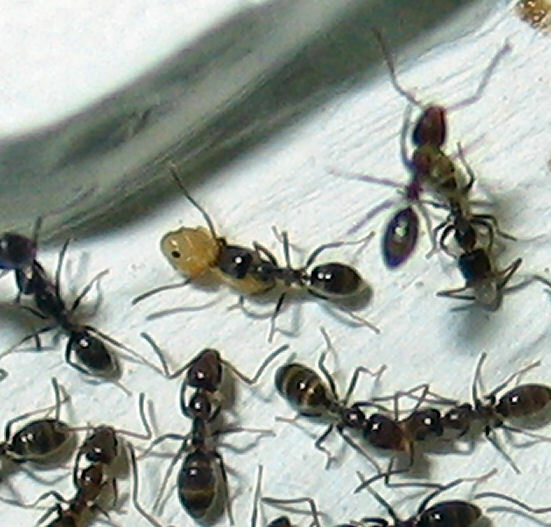 New ant nests are likely to find new sources of food and shelter quickly. While ants are under environmental stress from the disturbance of the earthquake it would be a good time to carryout an ant control program around your property to prevent ants setting up home there. A similar story is likely to be the case for many other insect pests that casually intrude into buildings. 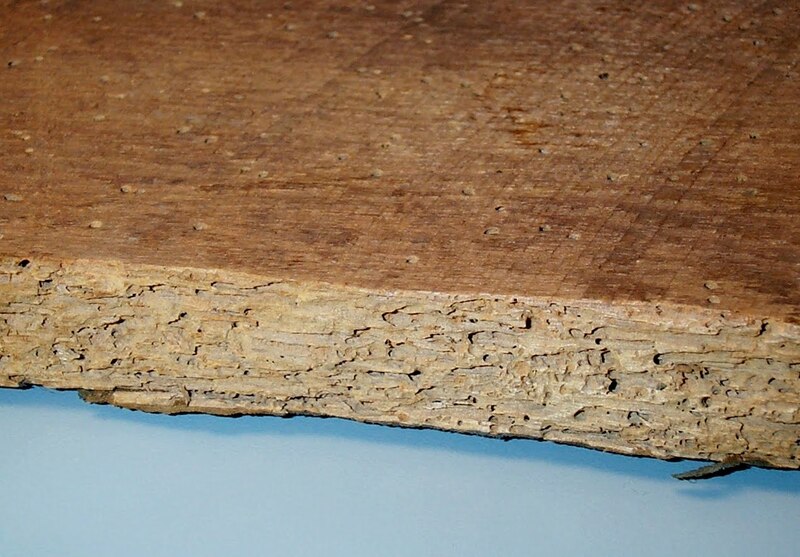 The damage to wooden buildings is not likely to have any impact on the borer larvae within. Many damaged old buildings will have to be pulled down and rebuilt and new timber will be treated and protected from borer attack. 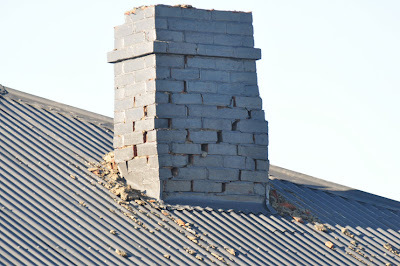 Many homes and other buildings will not be damaged to such an extent and will be repaired. Some thought should be taken about rebuilding. If borer infested timbers such as weatherboards, joists, beams etc. are exposed during repair this is an ideal time to treat the bare timber with borer protection such as NO Borer fluid. You can get up to 20 years borer protection from such treatment. The temperature reached 21C in Christchurch yesterday, which was pleasant for those living without electricity, but it is an indication of warmer weather to come in spring and summer and immediately encourages flies to breed. The warm weather combined with broken sewers, spilled food and other fly breeding places may see a rapid increase in fly numbers. 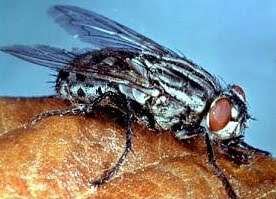 Flies are carriers of disease and may move from sewerage to your kitchen work surfaces or food. It would be advisable to carry out pre emptive fly control and use surface sprays such as NO Bugs Super and NO Flies to reduce the risks and annoyance of flies. 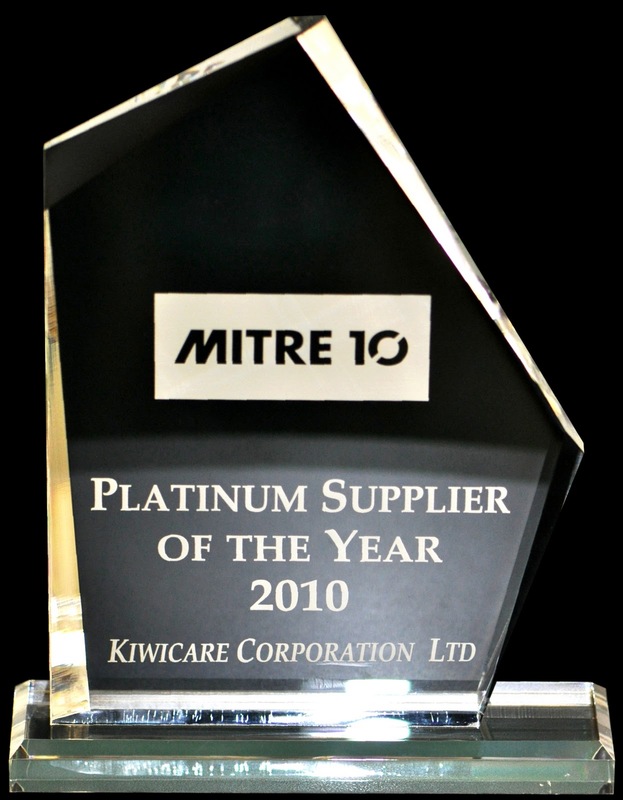 Kiwicare product will continue to be available from our retailers throughout Canterbury. 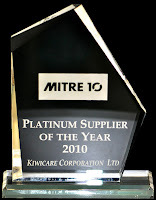 Kiwicare is a Canterbury company and we wish everyone in the region all the best in this difficult time. A mouse walks into a bar and asks the bartender "Have you got any cheese?" "Got any cheese?" Repeats the mouse. "No, I have no cheese" says the barman. The mouse: "Got any cheese?" Barman: "NO. Are you deaf? I said I have NOT got any cheese." "I am cheesed of with you! But I have no cheese and if you don't stop asking me if I've got cheese I'll nail you to the bar." The Kiwicare factory and head office is intact and business is as usual following Canterbury's massive 7.1 Richter Scale earthquake on Saturday morning. 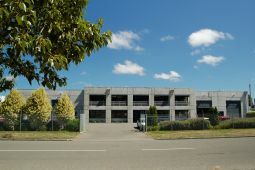 The purpose built facilities are only 8 years old and were built to the highest standards. This is particularly important for a facility that handles a significant quantity of chemicals. 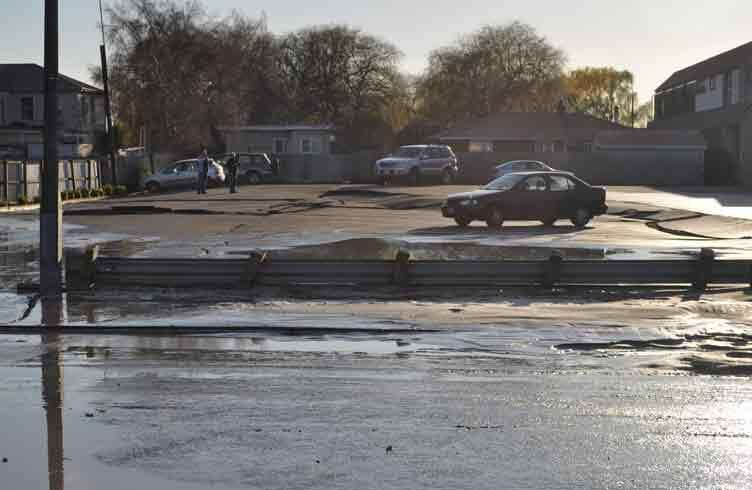 Racking and storage within the factory were also not damaged and machinery appears intact. But most important of all the staff have all come through the experience uninjured and with only minor damage to things in their homes. Thank you to all those that have called and emailed to enquire about us here in Christchurch. I live in Kaiapoi, 10km north of Christchuch and I, like the rest of Canterbury, was awoken with a jolt at 4.45 this morning. I managed to get out of bed and stand in the bedroom doorway. I thought about getting out of the house as the front door was only a few metres away. But I was listening to the joints in the wooden house making some serious cracking and creeking noise and thought there is some real chance that the building will collapse. When the main quake ended, and it wasn't clear when that was as further quakes rumbled through for some time. I grabbed the torch and took a look around the house. There wasn't much that sits on shelves still on the shelves. The TV in my bedroom and the plants on the shelf were all on the floor. Funny thing is that I didn't notice them falling during the quake. My power is back on now at 9.30 but water is still off. I am very surprised that the power has been restored so quickly and I don't expect water to come back on for perhaps days. This after taking a walk into Kaiapoi as the sun came up. 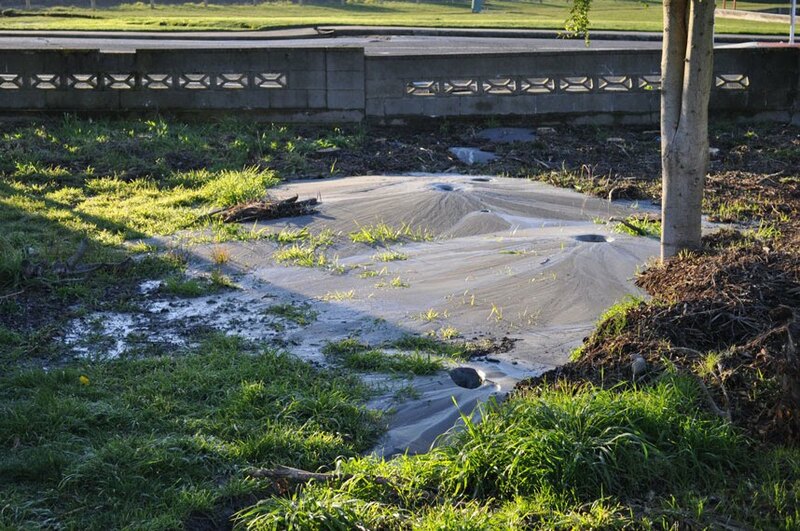 The Canterbury plain is based on ancient river beds and there has been serious liquifaction. 100m from my house the road has buckled and silt and mud worked its way to the surface. Still getting aftershocks but getting blasé about them even though the computer screen is wobbling around as I write this. The second day of the PestNET conference held at Lincoln focused on new products and product development. There was also discussion on the availability of cholecalciferol (vitamin D3) possum baits. There has been a recent surge in the cost of cholecalciferol worldwide. At one point it had gone up by 1000%. Although it has eased back again it is still much more expensive than it was 18 months ago. As the chole (as it is often known) is a significant cost of possum baits using this toxin some of the manufactures have stopped manufacture and some chole baits are no longer available. Kiwicare is both an importer and exporter of cholecalciferol and as such has secured an exclusive supply. 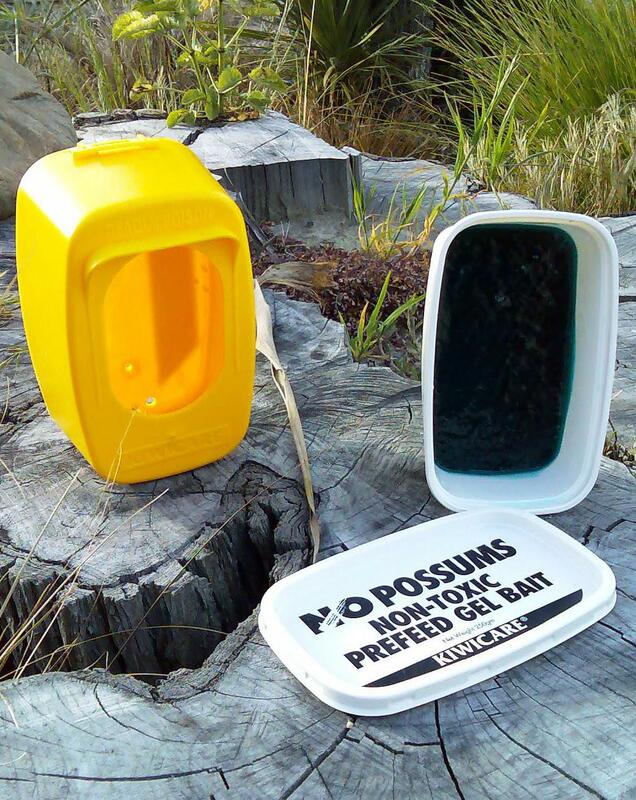 Kiwicare NO Possums Cholecalciferol Gel Bait is still available for control of possums and the price has been kept steady, with no increase in the last 3 years. NO Possums Cholecalciferol Gel bait is ideal for use where long term control of possums is required. The bait is truly long life; lasting up to two years without deteriorating, even in wet conditions. It is not required to have a licence or approved handlers certificate to use NO Possums making it ideal for self-help and community environmental protection groups. So the Coach Says to the Team. "Listen Up Men. I’m Changing Our Team Name to The Possums.” One of the Players Says “What… Why Coach?” Coach… "Because We Play Dead at Home and Get Killed on the Road!" I attended the first day of the PestNET conference at Lincoln University yesterday. PestNET is an organisation of pest control contractors mostly involved in Animal Health Board operations to control Tb in vectors such as possums. However, I was happy to see some other groups represented at the conference including Otago Peninsula conservation group and the Little Yellow Eye Penguin Group and we had a couple of great talks from iwi. The first day of the conference focused on the need for good communication between contractors, AHB, DoC and other stakeholders and the public including iwi and landowners. We could all take a leaf out of Joe Bennett's many books. We were lucky enough to have Joe as the after dinner speaker for the conference. 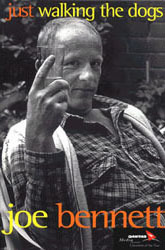 I have read a few of Joe's books and read his column in the Press and other periodicals when I come across them. I had expected a gentle chat with humorous observations. What we got was a polished stand up performance that had the tears of mirth running down my cheeks. Move over Billy Connolly you have a rival. If you are planning a conference dinner I happily recommend Joe as the man to get for your after dinner speaker. Today at the conference is the day for hearing about technical developments in pest control for controlling possums, mustalids and rodents. 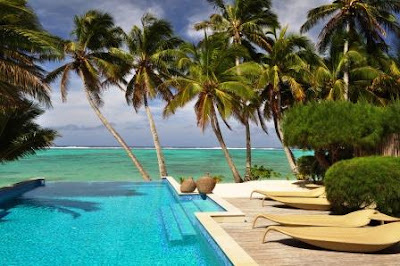 There are improvements afoot in many of these areas, not least through developments of Kiwicare products. you will hear about them here. So keep watching this space. A cow with poor eyesight walks into a bar. She coughs to attract the attention of the bartender (Tb or not Tb?). When he turns she asks "Can I have a Guinness please? I've never had one before and my Irish cow friend tells me it's great." The cow take s swig of the drink and spits it out. "Yuk!" she says. "That can't be Guinness. Where is the creamy head?" The barman pours the cow a Guinness and hands it to her admitting "I thought I could get the coke past your eyes."